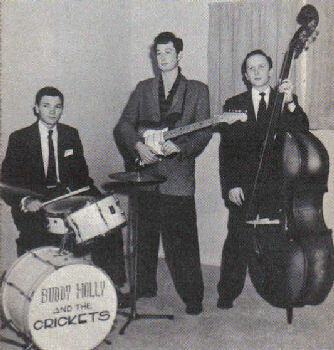 Members included (at one time or another) Buddy Holly, Larry Welborn, Jerry Allison, Niki Sullivan, Joe B. Mauldin, and Sonny Curtis. Feature article in issue 12 (1976) of New Kommotion. Article in issue 69 (1988) of Now Dig This. Article in issue 67 (1988) of Now Dig This. Article in issue 81 (1989) of Now Dig This. Article in issue 80 (1989) of Now Dig This. Article in issue 78 (1989) of Now Dig This. Article in issue 74 (1989) of Now Dig This. Article in issue 203 (2000) of Now Dig This. Article in issue 234 (2002) of Now Dig This.